If the Queenstown crowds don't appeal to you then this cosy Kingston lake House will. Fishing outside your door or pull up your boat for lunch. Cycle Around the Mountain Trail or visit the Kingston Cafe for a meal and refreshments. For the keen Hunter there are many Doc Blocks nearby. Kingston to Milford Sound one of New Zealand's most famous tourist destination is only 3 and a half hours drive. fully fenced property for people who have kids , new kids play ground recently built by the lake . We really enjoyed our stay at the house. Kain was very helpful and responded to our questions right away. We wish we could stay there longer to take advantage of the lake, which is right outside the door. Highly recommended! A+ accommodation. Walking distance to everything you need and the house is very well kept. I stay away from home a lot for work throughout the South Island and this one would be right at the top the the list. Thanks for booking the suntrap. A+ people to have stay in your house. Always welcome back. Place left very clean and tidy. We loved our stay here in Kingston. 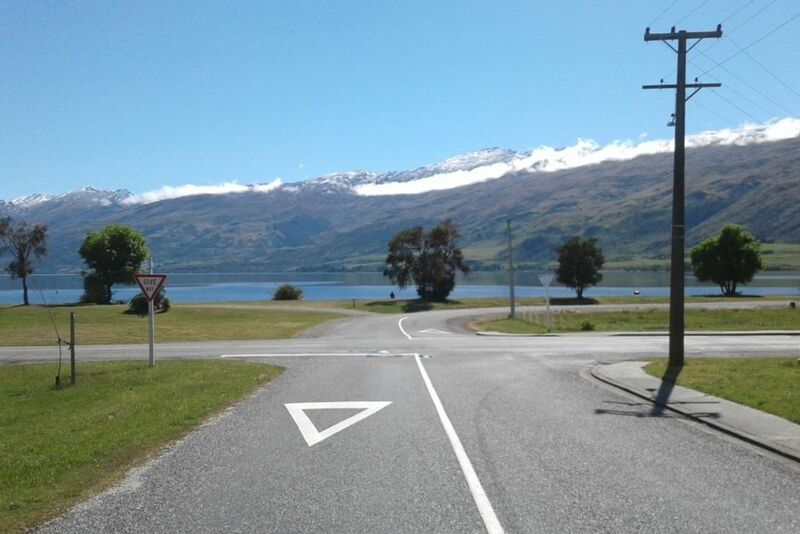 40 minutes from Queenstown so you can go enjoy the city but retreat to peace and quiet. Kids loved the play ground, large TV and wifi. Dad loved the fireplace and walk to the lake. Mom loved the washer AND dryer. Great place and would love to stay here again! Unclassified: The property was lovely and the house was supplied with everything we needed. My wife and I thoroughly enjoyed our stay at Kingston. The house was very well set up and equipped. We would like to thank the owners for an enjoyable relaxing stay. Great family home close to the lake with everything you need. The house had everything we needed for a great holiday. It was clean and pet friendly, with a totally fenced section. Owners were very helpful and responded to messages quickly when booking. We loved Kingston and did lots of cycling round the mountain, walking on the tracks there and swimming in the lake that was so close to the house. We would definitely stay at this house again. great people to have in our crib, super friendly and left the place in awesome condition . Absolutely perfect spot to be. A wonderful home for a group or family to stay at. Perfect, will be back for another stay.